A string of activities are being planned to mark the 100th anniversary of the Swedish Exhibition & Congress Centre this year. 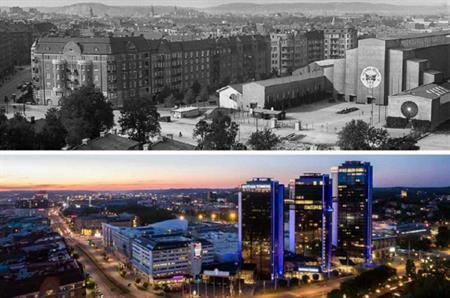 The Swedish Exhibition & Congress Centre in Gothenburg became the first exhibition centre in Scandinavia when it was opened by King Gustav V and Queen Viktoria on 8 July 1918. Among the celebratory events will be an anniversary weekend in April. A grant will also be awarded to an individual or company that plans to develop an idea that supports the Swedish tourism industry. "It has been the mission of the Swedish Exhibition & Congress Centre ever since it opened in 1918 to promote trade and industry," said Roger Holtback, chairman of the Swedish Exhibition & Congress Centre foundation. "We still have the same mission today, but our goals have shifted over the years. We aim to be Europe’s most attractive venue by offering the best experience." Carin Kindbom, president and CEO commented: "We are seeing strong international demand and we want to satisfy the global market by being responsive and leading the way. It will be increasingly important to have physical places where people can meet in the digital world, and we believe in the continuing growth of the meetings industry. We have big plans for expansion and we look forward with confidence to the next hundred years in the story of the Swedish Exhibition & Congress Centre."